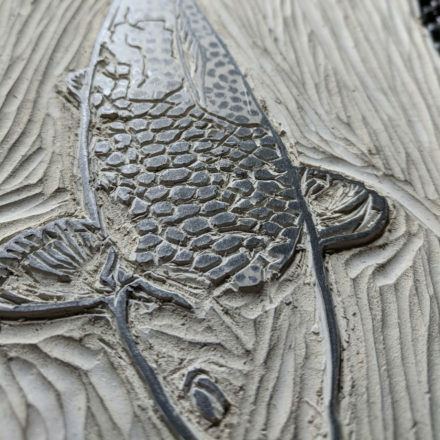 This is a hand-carved linocut print of the beautiful Japanese koi carp, inspired by a recent visit to Japan. 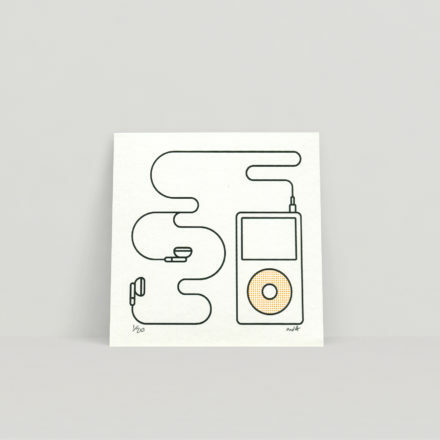 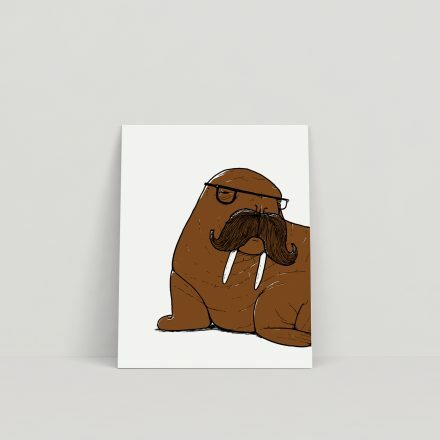 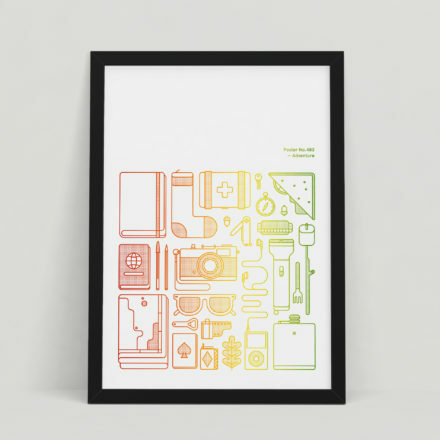 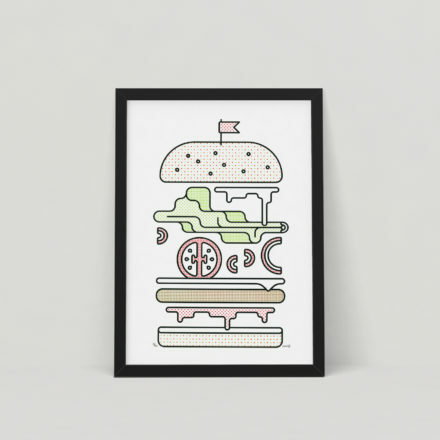 The minimal aesthetic of the print means it will look excellent anywhere. 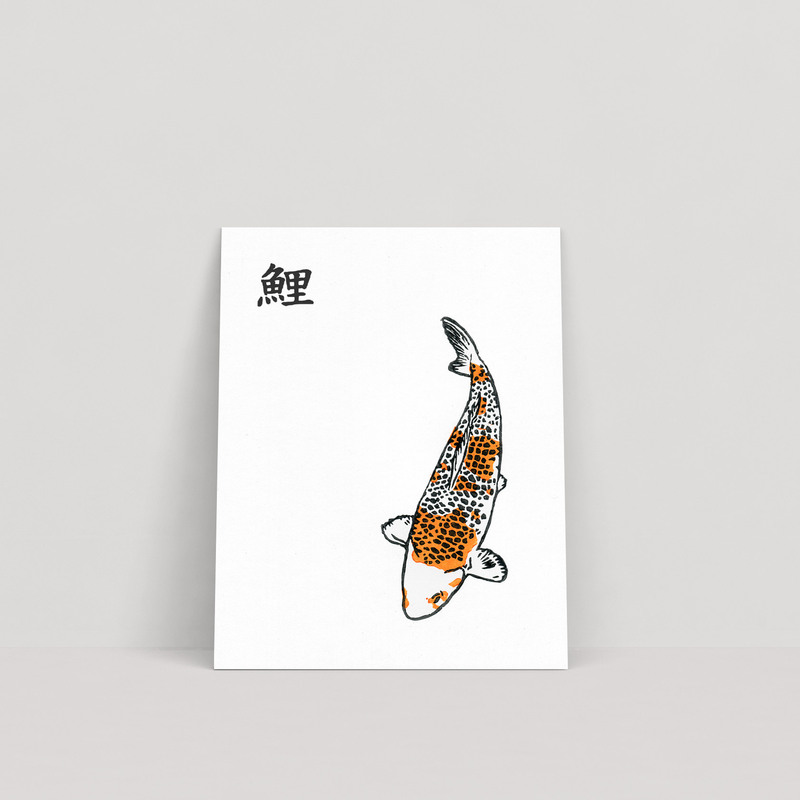 The print also makes a great housewarming gift for anyone who loves Japanese culture. 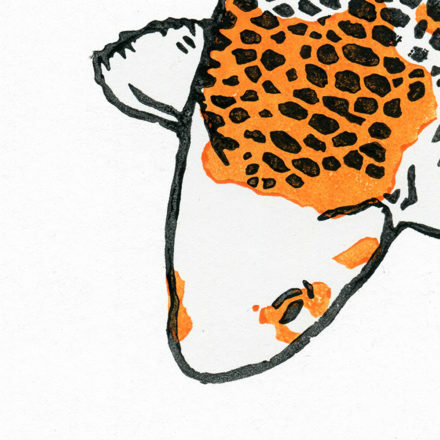 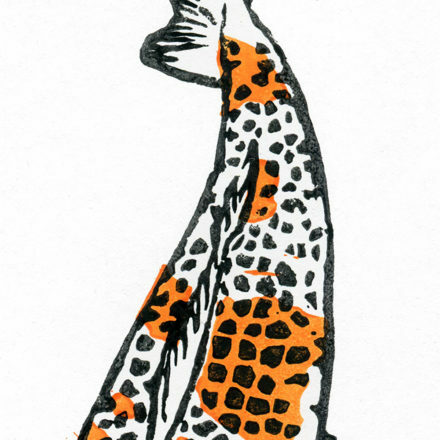 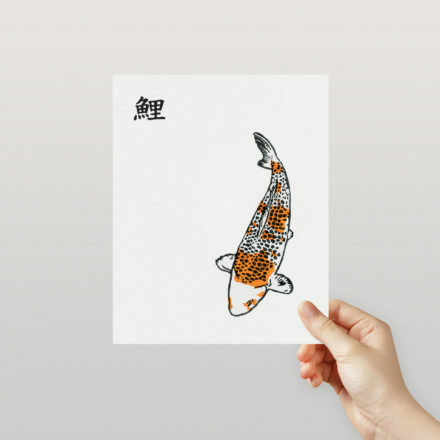 There’s something about the koi fish which is wonderful, which is why we wanted to make this print to celebrate its beauty. Each print is hand finished with the word “koi” written in Japanese using brush pen in the top right hand corner of the print.